Whether you’re shopping for Commercial Auto Insurance, Truck Insurance or looking to talk to an agent about your commercial options, you’ve come to the right place. We’ve been a commercial auto agent for years and have the experience to save you time and money on your commercial insurance needs. We also represent companies to ensure you get back on the road timely so your business isn’t held up in the unfortunate event of a claim. Does Your Business Need a Filing? We know filings can be confusing and critical to running your business. That’s why we’ve partnered with companies like Progressive who offers commercial truck insurance state and federal filings assistance. An insurance filing is a guarantee to the government that you have sufficient truck insurance protection for your vehicle. We also have many other companies who make the filing process easy. 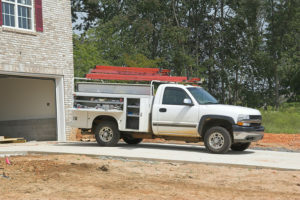 Talk to an agent today about insuring your commercial auto vehicle.